To enhance the Hybrid rack even more and to satisfy all tastes we are now introducing veneered shelfs in Cherry, Oak and Walnut. The veneer is of the same high quality as in the Radius rack system. With these shelfs the console is attached from the bottom meaning that there will be no visible screw heads. In-between the shelf and the console is also attached a piece of cork that aims to absorb even more any external and internal vibrations. 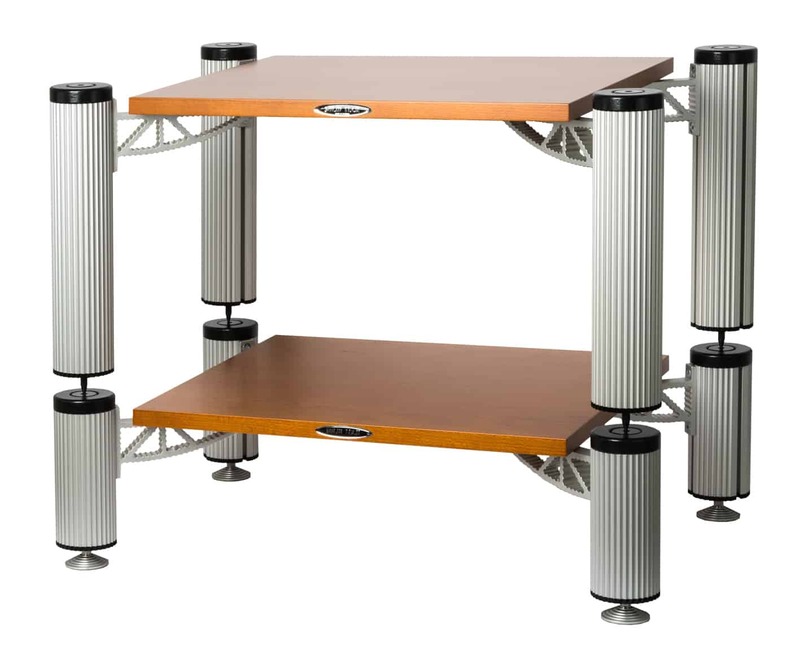 Picture shows a 2-shelf example design with pillars in silver anodized aluminium.